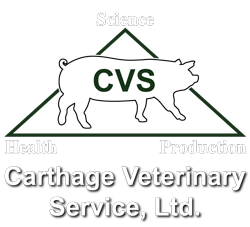 We want to welcome Jared Murphy to the Carthage Veterinary Service team! Jared recently came on board as our General Manager. He and his family are life-long Carthage community members, and he has been active in many local community groups. Please help us welcome Jared to Carthage Veterinary Service!